You’ve done it all – the house is staged with borrowed furniture, the curtains tied back to let in the sun and the counters have been swept clean and freshly washed. It looks a little bare, but that’s just how staged houses look – bare and a tad too clean. Unfortunately, no matter how much elbow grease you put into your cupboards and floors, if you haven’t updated your appliances in years then your kitchen might be making buyers think twice. Most prospective home buyers prefer to see appliances in the kitchen. Purchasing a home without a dishwasher, stove, microwave and fridge can mean a significant, immediate investment on top of the purchase price. A new set of appliances can easily run $3,000 or more depending on the quality and brand they prefer. 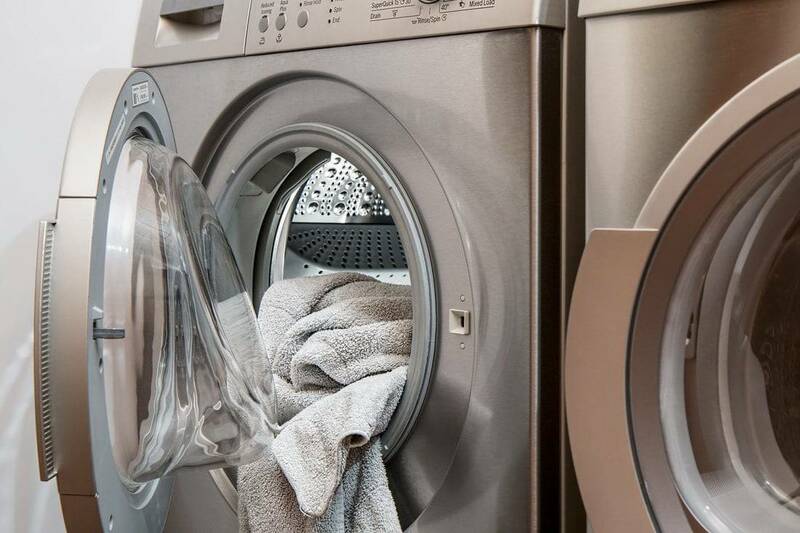 This is why many realtors suggest selling your home with the appliances intact. Because when the buyer knows they will need to purchase and pay for new appliances, their offers will reflect their estimate of the after purchase costs. The quality of the appliances you have inside your home speaks to your prospective buyer – what it says depends on what they are looking for. Low quality, old or lightly damaged appliances may be a mild disappointment for some and a major passing point for others. First Time Home Buyers – If your buyers haven’t looked at many houses yet, they may still be holding on to a few Pie-in-the-Sky dreams of gleaming hardwood floors, double garages and stainless steel appliances. If your home isn’t what they are looking for, they will give it a hard pass. However, after reconciling their dreams with their checkbooks they may find themselves back for a second look. Decent appliances, in good shape and working order, can become a reasonable selling point to disenfranchised buyers. Families – If your home is big enough and in a good area, you may be entertaining quite a few families. For these buyers, no appliances or even older, damaged appliances can become a hard no if your selling price isn’t low enough. Families worry about quality and finding funds to replace failing appliances can be difficult. If your appliances don’t look like they have at least 3+ years of service left in them you can expect these buyers to pass. Professionals – If you live in a nice enough area and your home is in good shape, you may see quite a few single or professional couples coming through your doors. Unlike most prospective buyers, professionals are more likely to see your appliances as an unwanted expense than an asset. For these buyers, the cost of purchasing new appliances isn’t a hindrance and having brand new appliances installed is preferable to using those they have purchased with the house. Marketing to your buyer-group is an important part of selling your home. While every buyer is an individual, your realtor can help you determine what preferences prospective buyers for your home will have. As far as appliances go – If they are in poor repair, then it will usually be in your best interest to replace them. Buyers tend to overestimate the price of purchasing new appliances and could reduce their offer by thousands more than you would spend replacing the appliances prior to selling. Not all sales require this type of attention, however. If you are looking for a quick sale, without the hassle of tailoring your house to meet buyer expectations then Contact Seller’s Advantage online or call us at 1-888-654-ASIS (2747) to get a no-cost, no-obligation quote on your home. We purchase homes in AS-IS condition and can give you a cash offer in as little as 24 hours.